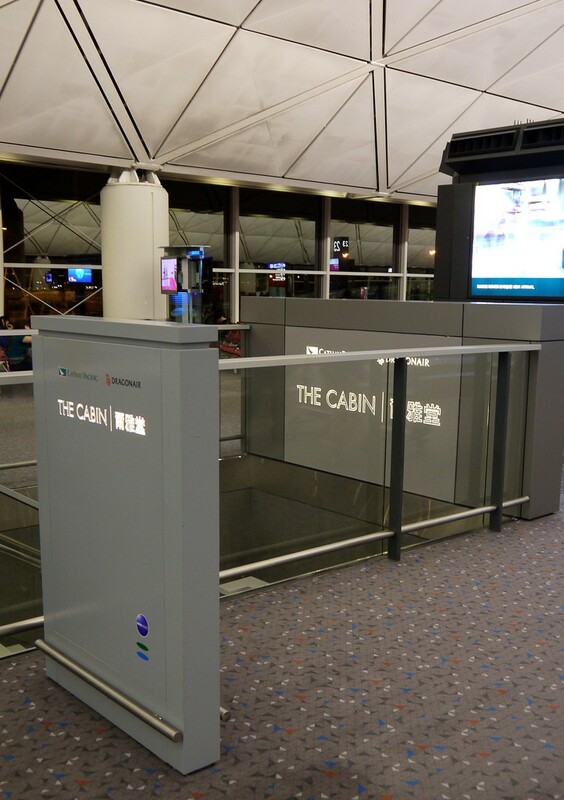 When Cathay Pacific opened the Cabin in late 2010, it gave a glimpse into a new modern design philosophy for their ‘hard product’ – lounges, seating, etc. – which would be rolling out across their network in the coming years, such as the refurbishment of The Wing, and their new Business Class seating. I was keen to take a look around and see how the lounge had aged in the past 18 months. 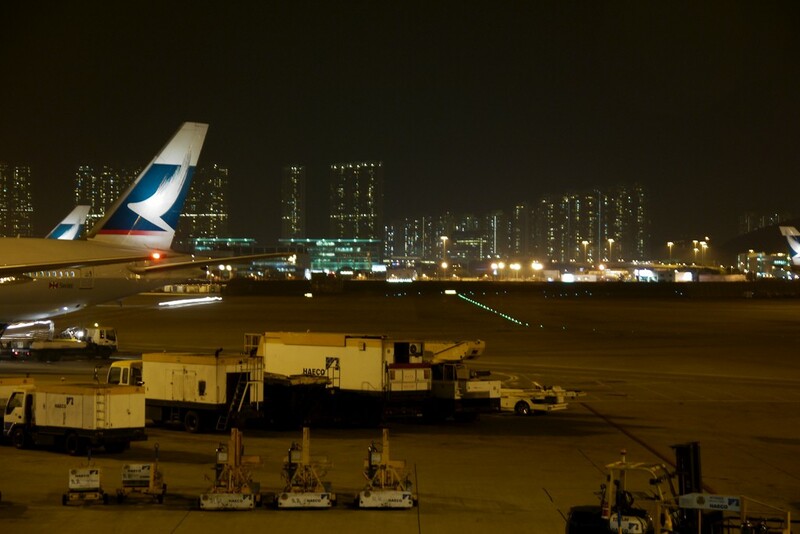 The Cabin is set up under the main departure floors in the middle of HKG, and is accessed by stairs or a lift down a floor, where it overlooks the tarmac, some departure gates and off into the distance, past some residential buildings. 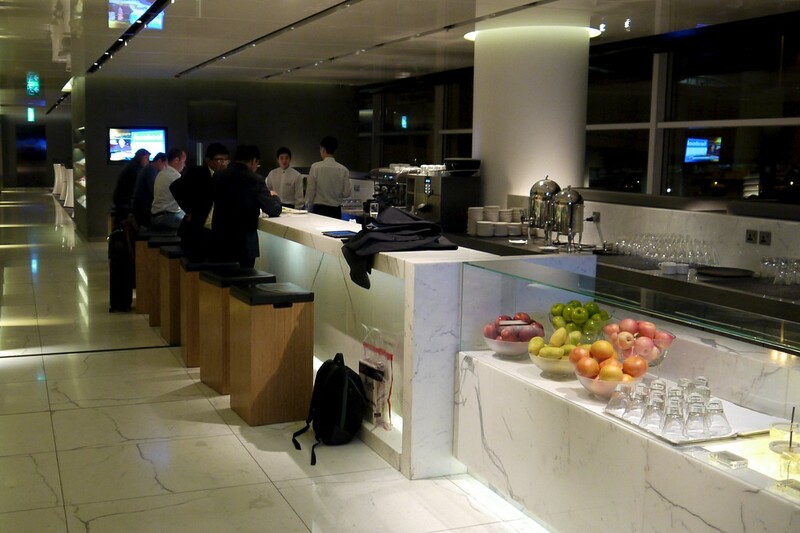 I arrived around 6pm after soaking up both the Qantas International Business Lounge and The Wing. 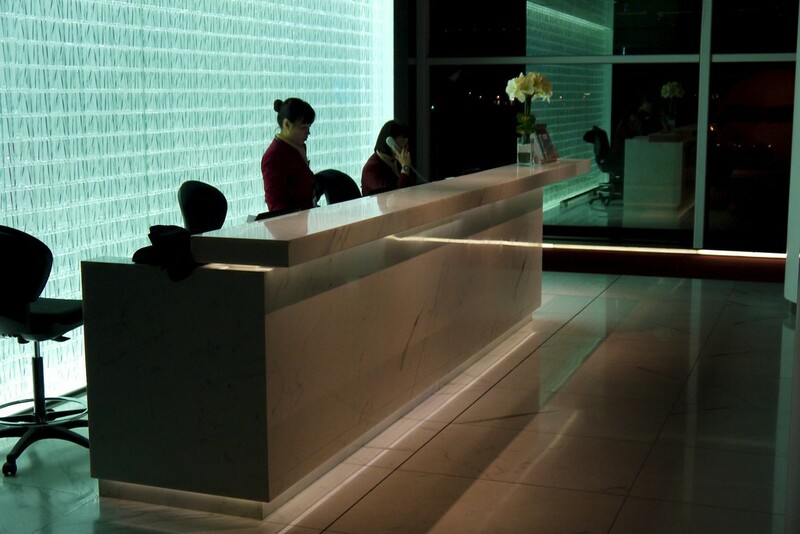 By this time it was dark outside, so consider this a ‘night-time’ review – I think daylight would change the ambiance of the lounge considerably. 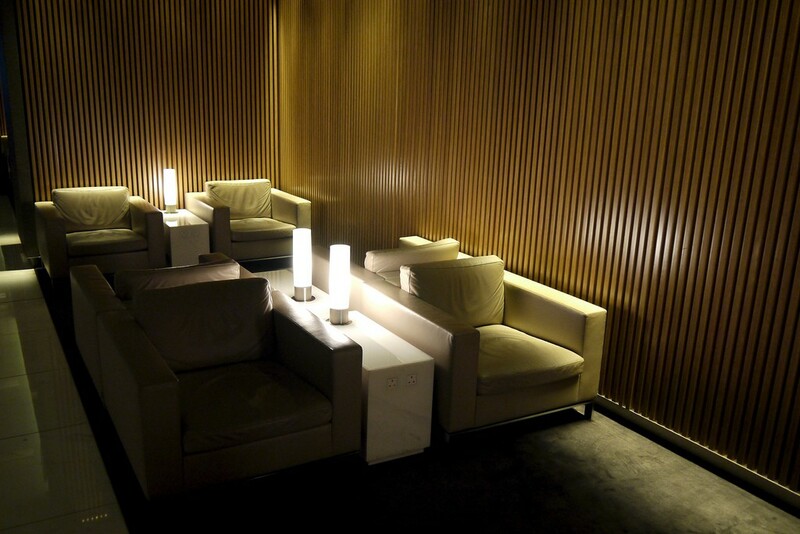 The lounge was designed by Foster + Partners, with many new touches which are now filtering out across Cathay’s new lounges, such as in San Francisco and The Wing. 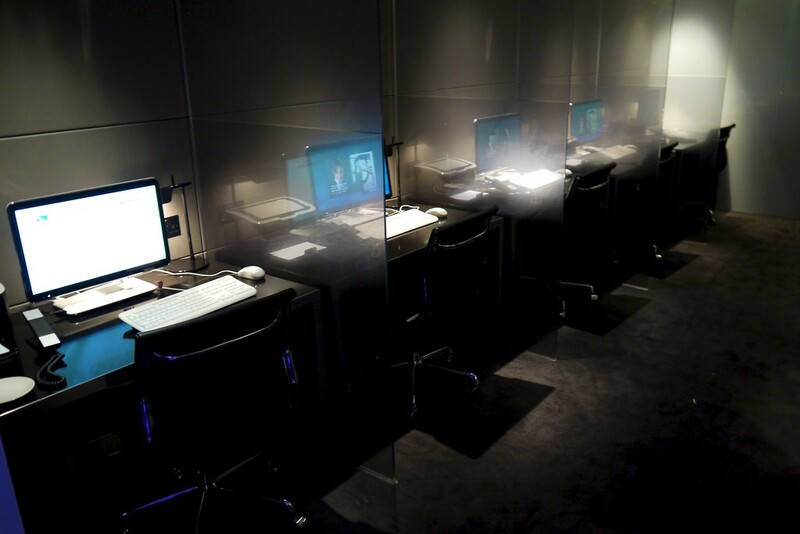 Turning right after the reception yields the ‘IT Zone’, with a bench of iMacs and a small room full of Windows PC’s. 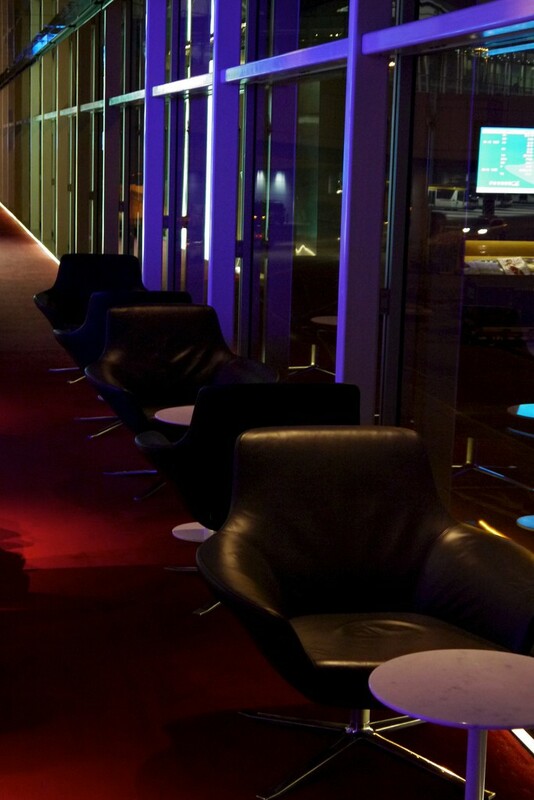 There’s a bank of solus chairs facing out to the expansive view, and a small drink / snack buffet – with the rest of the food options elsewhere in the lounge. Walking back past the reception leads to ‘The Deli’ area, with café style seating and a deli, unsurprisingly, making hot toasted sandwiches to order. Beyond, there’s a juice bar and, erm, alcohol bar, to cater for liquid refreshment, as well as a buffet of Western and Asian snacks. I grabbed a toasted sandwhich and a smoothie – both were tasty. 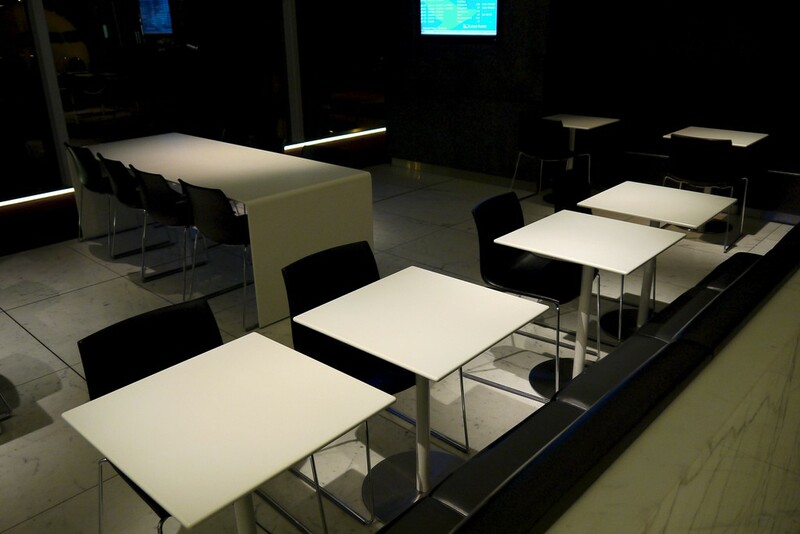 Past the bar is another room full of Solus chairs, and some recessed seating at the rear of the lounge suitable for groups. The Cabin is small, but pleasant. 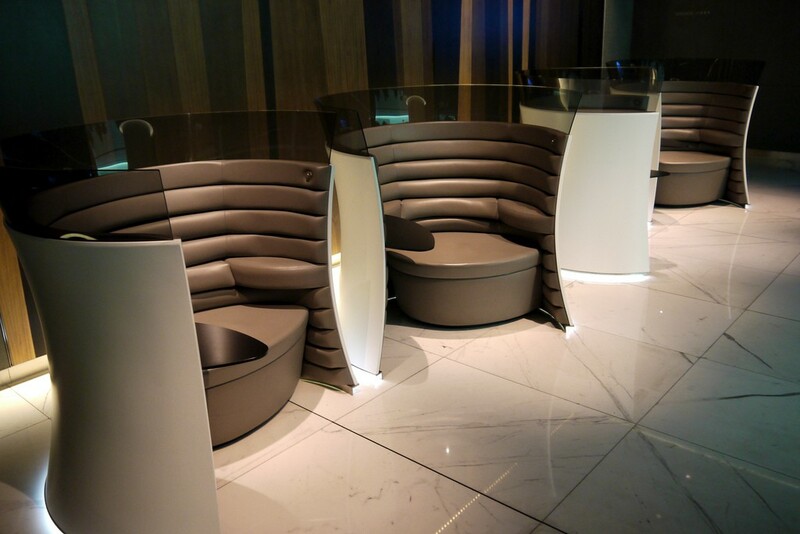 It’s perfect for those with say 1/2 hour to spare before their flight to grab a drink and a snack, and maybe socialise with other travellers. 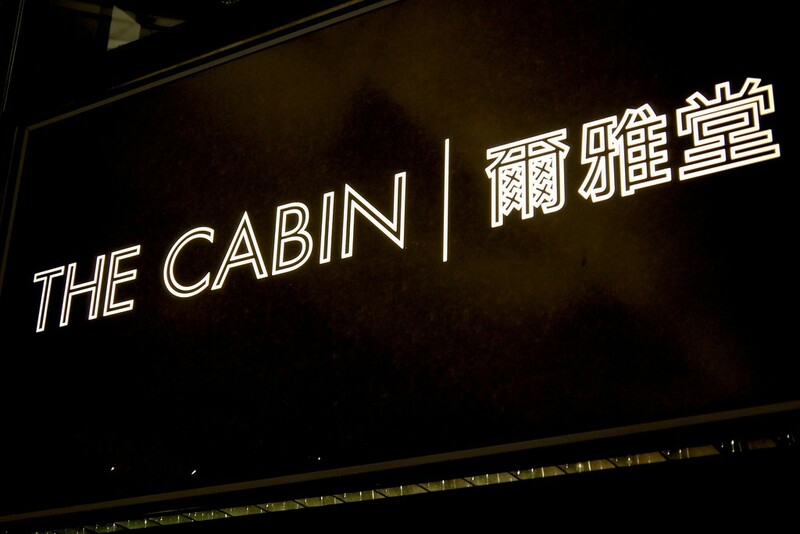 I wouldn’t want to while away hours in here, but then that’s not it’s purpose – it’s more of a quick visit environment, which I think Cathay have executed well. 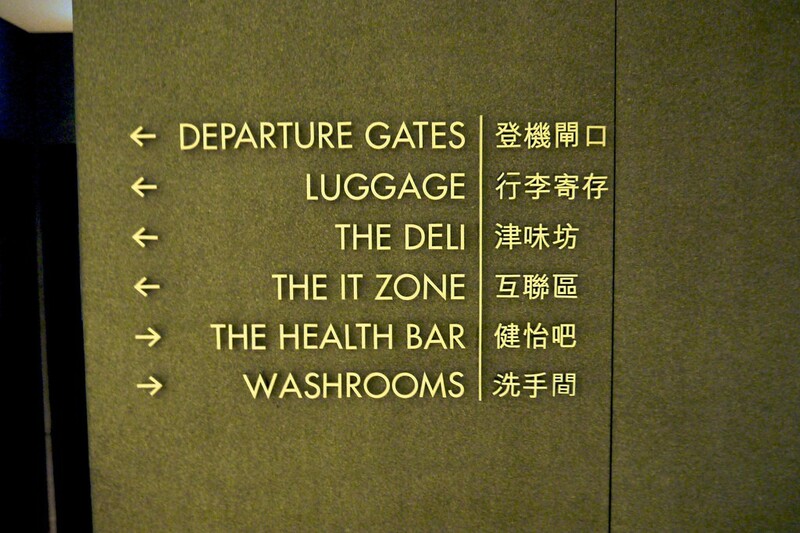 Worth a visit if that’s how you find yourself in Hong Kong Airport. Keith started Point Hacks in 2011 to help people earn more points and use them for better travel, and now Drive Zero, to help Australians learn more about electric cars.You’ll find Keith in Sydney’s Northern Beaches - unless he's travelling. 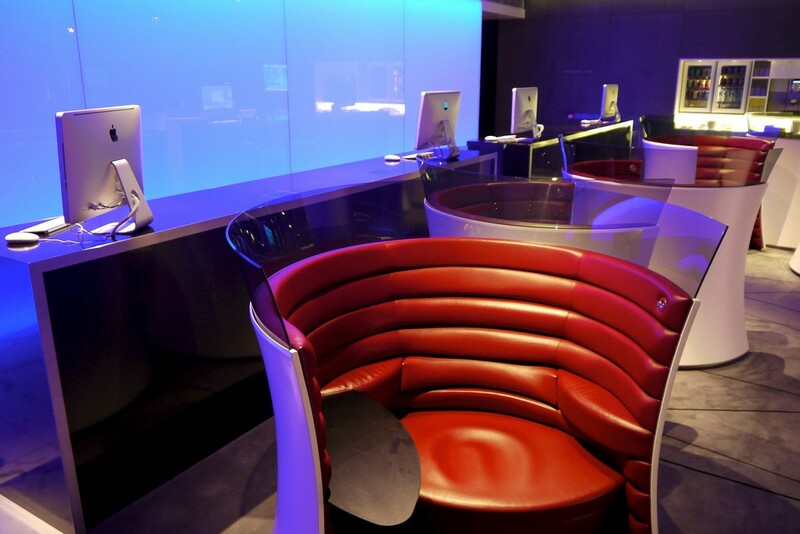 Virgin Australia’s “The Business” on their A330 fleet offers a level of space and service that’s a cut above what you’ll find with most other airlines for domestic flights around the world. Here’s our overview guide of what to expect (or aspire to!) 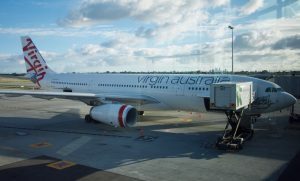 when travelling in Virgin Australia’s A330 Business Class.